Conducted maintenance dredging of the berthing slip to -7 feet below mean low water (MLW) with an allowable 1 foot over dredge. 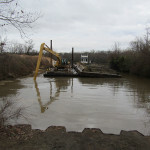 Total amount to be dredged is approximately 1900 CY of material. 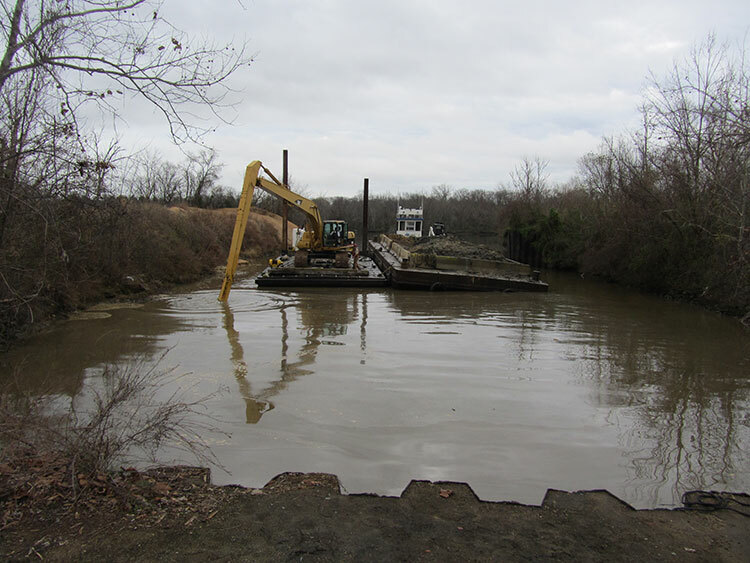 Materials were loaded into a scow barge and disposed at the Shirley Plantation Basin in Hopewell, Virginia. Soundings were taken by Crofton before and after the project to determine volume of dredge materials. Crofton performed soundings daily to control depths, volume, and footprint of the dredging operations.